Bryan Electric, Inc. offers residents of Sandy Springs a wide range of electrical services and repairs. With professional electricians trained to utilize the most up-to-date and effective equipment, we can analyze your issues and come up with innovative solutions that will get your system back to working at peak performance. We’ll also work with you to keep future issues from happening in the first place. At Bryan Electric, our staff uses the latest technology to serve you. We use infrared thermal imaging to conduct inspections that can prolong the lifespan of your system. We also aim to detect potentially serious problems before they can occur. Additionally, we offer energy audits that can help you pinpoint areas in which you could save more on utility costs, thus keeping your prices down without sacrificing productivity or comfort. With Bryan Electric, Inc.’s 24 hour service and fast response times, residents of Sandy Springs can enjoy all the benefits with none of the wait. We train our electricians to deliver reliable solutions for your electrical issues, and our customer service centers around your convenience. We’ll tell you our competitive rates in advance, as well as when you can expect a technician to arrive. Don’t leave yourself in the dark! Our emergency repair professionals can get your system running again quickly, without overcharging you. At Bryan Electric, Inc., we focus on more than repairs. We’ll analyze your system and help you make replacements and corrections wherever needed to keep it running smoothly well into the future. If you need assistance with choosing, repairing or installing a generator, our trained professionals can make sure you get the perfect fit for your workplace or home. Furthermore, if your system isn’t working at full capacity and you need to upgrade for safety and productivity, or if you’ve been having issues come up too often, we’ll guide you through upgrading your electrical panel. You can avoid any number of future issues, all while having a system that is safer and more efficient for the days ahead. 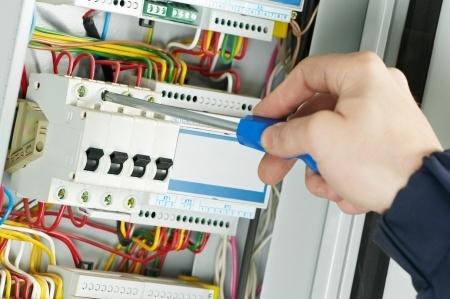 Want to learn more about our electrical repairs and services in the Sandy Springs area? Call (770) 680-2144 with any questions, or to schedule an appointment with our electricians today.